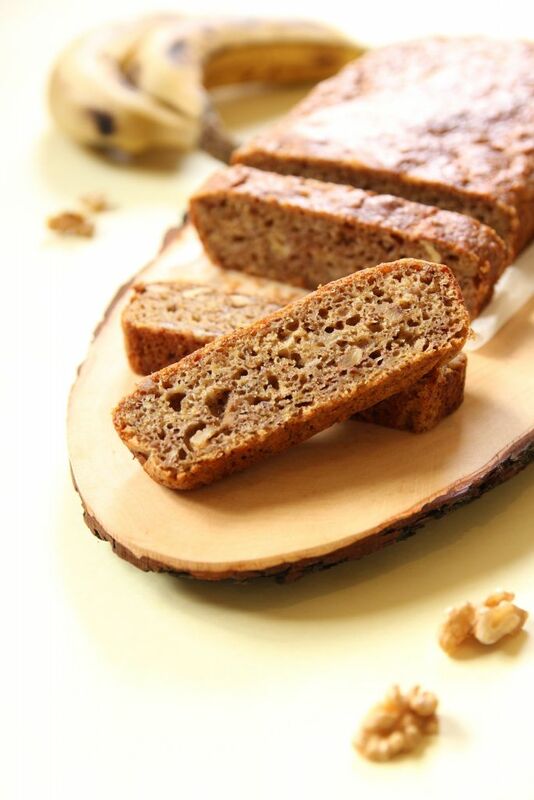 The Only Vegan Banana Bread Recipe You’ll Ever Need! 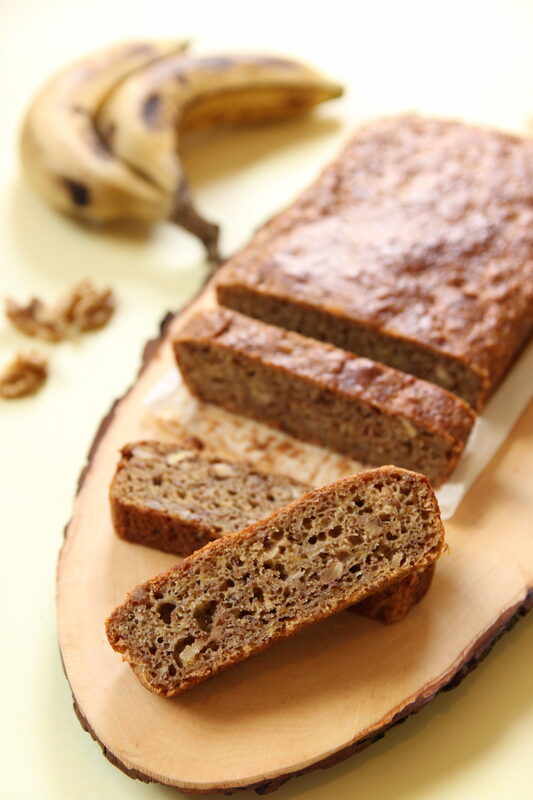 This vegan banana bread is super moist, nutty, and a great on the go snack, for all those busy mornings! It’s perfectly infused with vanilla, lemon juice, and walnuts, and has become a staple in our home! Also, you can easily just turn them into 12 individual muffins, if you prefer. They’ll taste just as good, and make a great lunch box snack for the kids! So, have yourselves a great day darlings, and let’s brighten up with this freshly baked vegan banana bread. Mix the ground flax seed together with the lemon juice, and set it aside. Mash 1 cup of bananas, with a fork, and place it into a medium sized bowl. Next, add the coconut sugar, splash of vanilla, olive oil, maple syrup, and flax seed mixture, and whisk well, until combined. Place the spelt flour, baking soda, and baking powder into a separate bowl, and give it a quick mix. Switch to a spatula, then add the flour mixture in with the wet ingredients, in 2 parts, and mix, until combined. Finally, roughly chop the walnuts, then add it to the bowl, and give it one final mix. Transfer your batter into an 8 x 4 x 1/2-inch loaf pan (20 x 10 x 6 cm), or into a *muffin tray, lined with cupcake liners, and bake until a toothpick comes out clean, around 20- 45 minutes. *If you’ve turned your banana bread into muffins, your baking time will shorten. So, keep an eye out, until a toothpick comes out clean, around 15 minutes. 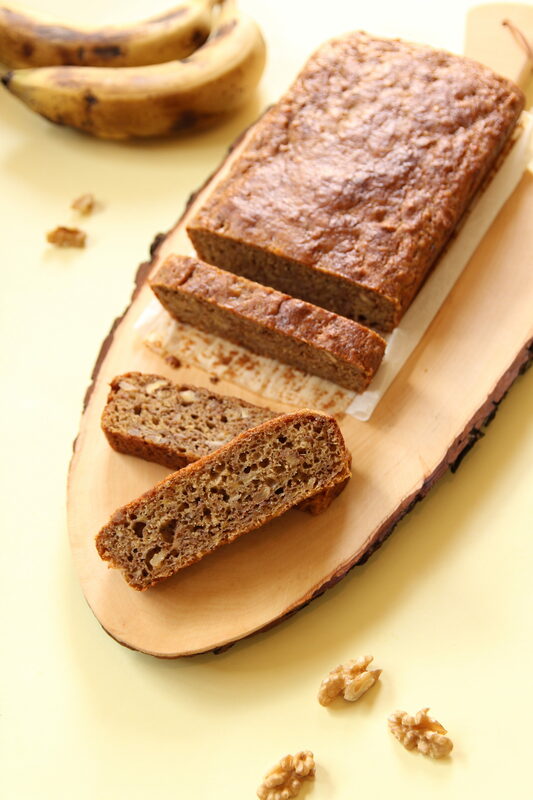 This vegan banana bread does look really good! I think I would eat it in one go too! I have no self-control. I wonder if I could sub gluten free flour for the spelt? I haven’t tested this recipe with gluten free flour, but am pretty sure you’ll be fine. Hi..I made this last week and it was a winner..i want to make it again but have no spelt flour..is self raising flour ok or plain flour?